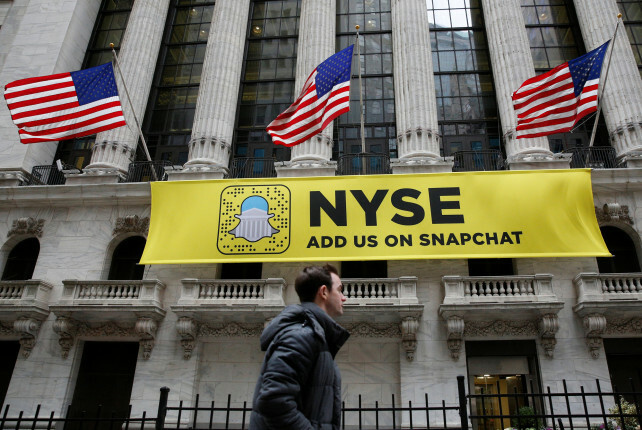 Snap Inc, the creator of Snapchat, is poised for its long-awaited initial public offering on Thursday. The company has yet to turn a profit but is aiming for a valuation somewhere around the $20 billion mark, the highest of any tech company since Facebook went public in 2012. The comparisons don’t stop there: Snap experienced its slowest growth in daily users late last year when Facebook launched an almost identical service on Instagram (which it owns). How then is Snap seeking to gain the upper hand on its rival? Similarly, of course, with plans to ride the political wave to foment greater millennial engagement. The campaigns of Donald Trump and Hillary Clinton poured big money into video ads and geo-filters during the election, and with good reason: two-thirds of millennials on Snapchat were likely to vote, compared to just 50% nationwide. As the platform’s first ‘breaking news’ partner, the Washington Post’s foray into Snapchat Discover – an area containing curated content from major publishers – is a novel attempt to marry traditional media with the new. Partners will seek to capitalise both on the app’s ubiquity among young viewers and its high view-rate: average users check in 20 times a day. The firm thinks the climate is right for Snap to flourish, and on Thursday they’ll find out whether investors agree.